Rent or buy Transformers: The Last Knight here. Autobots and Decepticons are once again trying to make Earth their home, this time by merging their world with ours (I think that’s what it was about?). Over the years I have given the Transformers films a pass. I know they aren’t great movies but I always came out of them finding a few things I liked. With that said, the newest entry into the bombastic series is a complete train wreck. It seems like the filmmakers have no desire to make a good movie anymore with these films. The Last Knight is a serious low for the franchise. The films starts with what seems to be an interesting plot line but goes off in so many different directions it’s impossible to keep track of what’s happening. The incoherent plot could of been forgiven if we had gotten some characters worth rooting for. Instead though the film is filled with unlikable characters and many completely unnecessary ones. The films tries to add humor but most of the jokes are either misplaced or fall completely flat. I saw this film in a pretty pack theater and no one was laughing. Along with that, this movie is way too long. I usually don’t get bored in the movies, but I was constantly checking my watch to see when this would end. The film looks great and the effects are top notch, but those two things are not enough from saving it from being a complete dud. Micheal Bay (the series' director for the last 5 films) says he’s finally done and at this point I sure hope that he means it. The studio is planning to continue churning out these films but if they are looking to bring in new fans and keep any that are left they are going to need something that’s fresh and actually fun to watch. 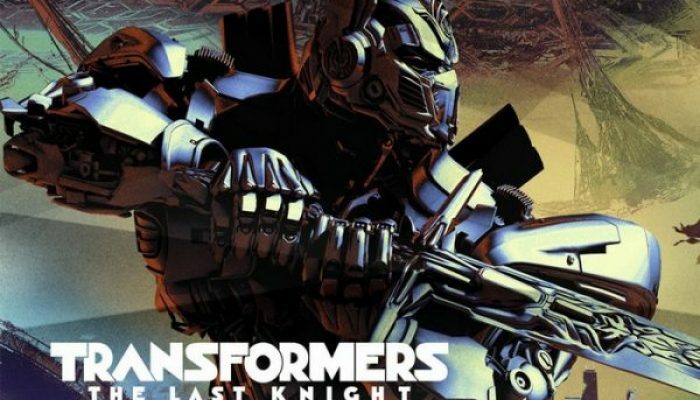 Transformers: The Last Knight is rated PG-13. There are incredible amounts of robot violence and carnage throughout. The robots fight and loads of destruction happens around them, with property destruction and implied civilian casualties. There is also plenty of gun use as well. Many robots are killed throughout. There's very minimal blood onscreen. There's consistent moderate profanity from start to finish and one subtle f-word. Sacrifice is a precursor to success and victory. Those who stand together and are brave can make a difference in the world. It’s important to have have faith in the people around you. For a Michael Bay movie with a decent story and good performances (by Scarlett Johansson and Ewan McGregor) to bolster the effects, we recommend The Island, which you can rent or buy right here.